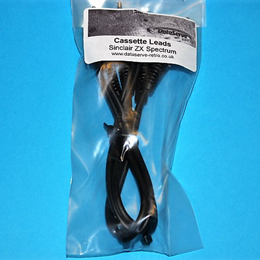 Hard to come by now, these leads are brand new, factory made leads, made up for the 16K, 48K, 48K+ and 128K+ Spectrums and the Sinclair ZX81. 0.5M in length. Please note - they are not suitable for the Spectrum +2's or +3.